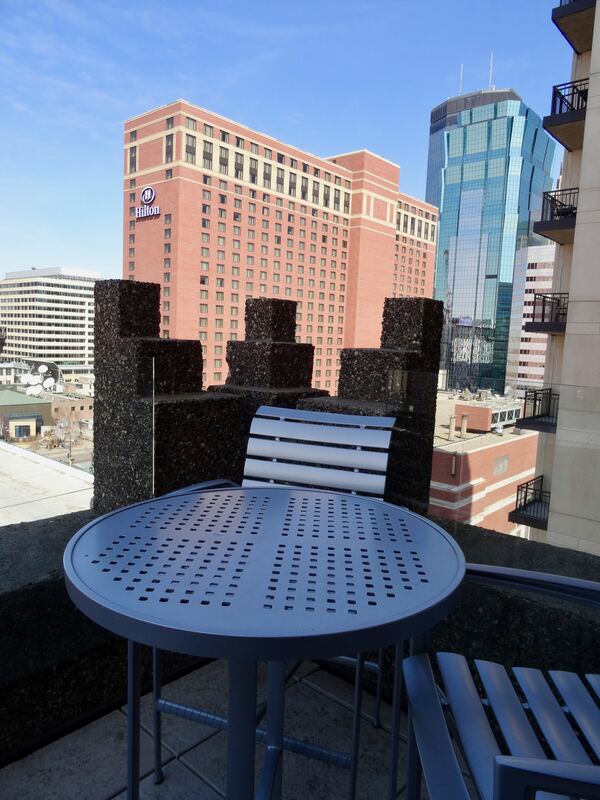 Situated in the heart of downtown Minneapolis, the Hotel Ivy Minneapolis is a luxury hotel set within a historic building. Mixing contemporary styling with vintage architectural details, the property offers guests a unique retreat connected to the skyway system of downtown Minneapolis. Reachable via the third floor of the hotel, this 9.5 miles of enclosed pathways connects 80 city blocks within downtown making it easy to reach offices, restaurants, bakeries, banks, theaters, doctors, art exhibits and more without ever stepping foot outside (perfect during the chilly winter months or rainy days). One of the highlights of the hotel is the Penthouse Suite. Featuring furnishings designed by an interior designer for a residential-style feel that would be an exclusive setting within the hotel, this two-level suite on the ninth floor, (the top floor of the historic tower) is a contemporary suite where guests enter via a stylish entry with a fully-stocked bar complete with an array of some of the finest bottles of Dom Perignon. Read more below the photo. 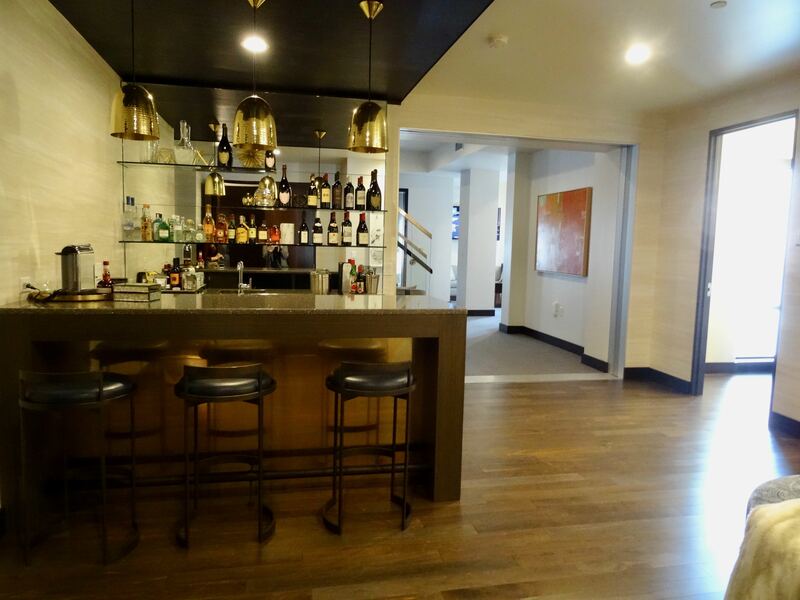 Within the hotel is the Monello Restaurant serving crafted Italian cuisine, as well as the Constantine Bar. The property's spa is currently undergoing renovations and is set to reopen in summer 2019. Plus, this property offers exclusive 2019 FIVE STAR ALLIANCE SUITE PRIVILEGES that can be combined with the FIVE STAR ALLIANCE PERK (if requirements are met). 2019 FIVE STAR ALLIANCE SUITE PRIVILEGES: Guests booking a stay of 2 or more nights in a suite receive a $100 Food & Beverage Credit, once per stay. This offer is valid for stays of at least two nights through December 31, 2019 in the Penthouse, Superior Suite, Deluxe Suite, Executive Suite, and Grand Suite. Meant to be a backdrop for art, The Loft at The DOUGLAS offers a modern retreat with a quirky personality. As guests enter on the first floor of the space they are greeted by a Grand Piano and a dramatic curved staircase. While plush leather chairs and a fireplace provide a chic and welcoming sitting area. The TVs in the suite are Netflix connected, and the hyper local minibar provides an array of refreshments. Continue reading about the suite below the photo. The second level of The Loft is reachable via the curved staircase or in-suite elevator. On this floor, there is a large living room with expansive windows, and an indoor dining area with leather chairs to seat six guests, as well as a wet bar. Premium Illy Coffee brands are available in-suite, as well as bespoke locally-distilled DOUGLAS Fir-infused Gin, and detoxifying house-made Charcoal Water. Read more below the photo. At the end of the hall on the second floor of The Loft is the modern bedroom showcasing a wall of windows for panoramic view overlooking BC Place. Guests of The Loft receive a range of dedicated services and conveniences during their stay including locally-sourced refreshments, a VIP amenity with a welcome card from the General Manager, a fresh flower presentation and whole fruit bowl, as well as access to the JW Marriott Executive Lounge. FIVE STAR ALLIANCE PERK: Guests booking the “5 Star Signature Package” rate will also receive a Classic Breakfast for two daily through in-dining, a $100 CAD spa treatment credit, per room/per stay, complimentary Wi-Fi, a welcome amenity and an automatic room category upgrade at booking based on availability. 2019 FIVE STAR ALLIANCE SUITE PRIVILEGES: Guests booking a stay of 2 or more nights in a suite receive a One-Way airport transfer, once per stay. 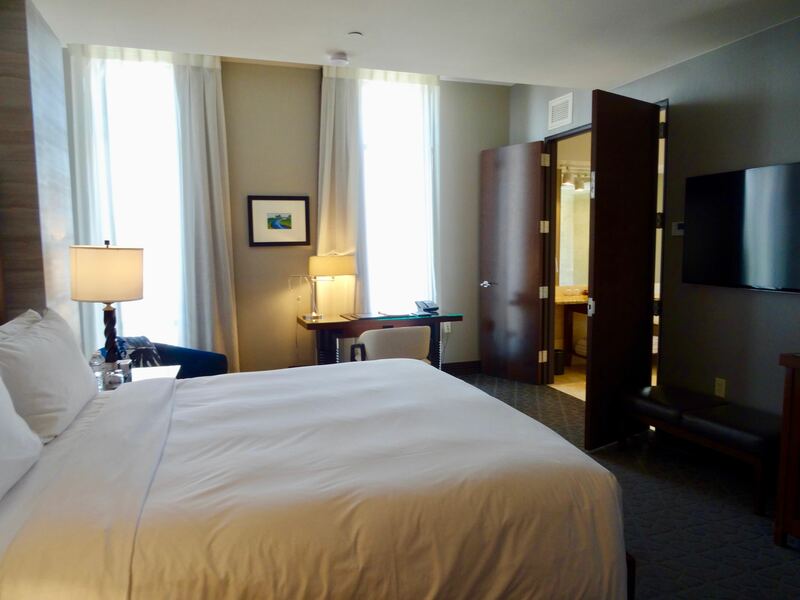 This offer is valid for stays of at least two nights through December 31, 2019 in the One Bedroom Suite, Luxury Suite: The Den, Luxury Suite: The Loft, and Luxury Suite: Apartment 108. Situated in the Foggy Bottom neighborhood, The Watergate Hotel is an urban resort. The infamous property recently underwent a $200 million renovation, transforming the hotel into a luxury retreat with a full-service spa, wellness center, and accommodations with artful, mid-century styling. Read more below the photo. 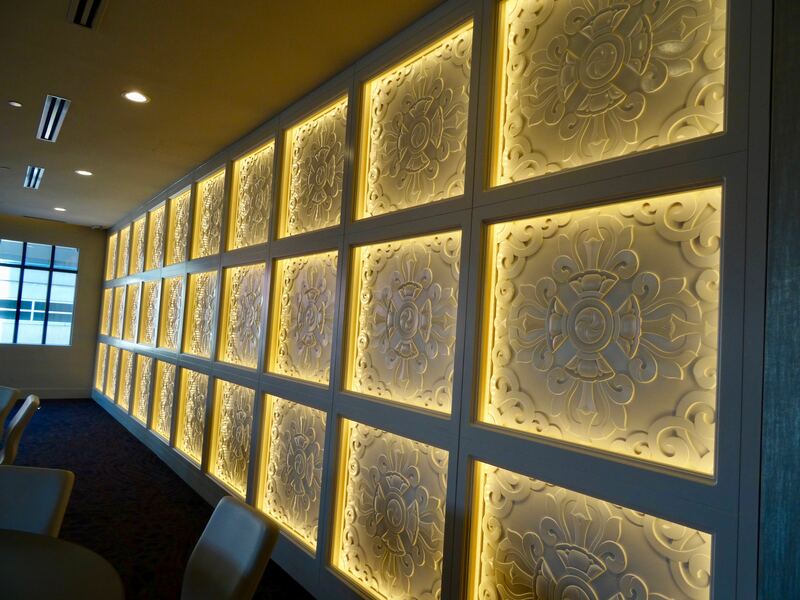 As part of the renovation, the property unveiled trendy new dining and nightlife options, including Kingbird. Focused on ingredient-driven American cuisine infused with French flavor, this chic restaurant offers a contemporary atmosphere for breakfast, lunch, and dinner. There is a vibrant bar within the restaurant, as well as seasonally-inspired plates. Continue reading below the Kingbird photo. The Next Whisky Bar serves a high-end, curated selection of scotch and whisky, as well as a selection of cigars. Providing an intimate setting with a soft amber glow, the space features a copper wall with 2,500 illuminated whisky bottles. Learn more about the property below the photo. On Saturdays and Sundays, The Watergate Hotel serves a contemporary take on classic afternoon tea. For a limited time, the Cherry Blossom Tea is served from March 23 to April 14, 2019. For $55 per person, guests can enjoy fine teas, seasonal sandwiches, signature Cherry Blossom Macarons, homemade scones, cherry-infused confections, and a Kingbird special of Cherry Jam. Reservations are required for this special tea, which can be booked by calling the hotel directly at +1 (833) 304-4830. Continue reading below the photo of the Top of the Gate. In addition to the Kingbird, exclusive afternoon tea options, and The Next Whisky Bar, the hotel's see-and-be-seen Top of the Gate has a sophisticated outdoor rooftop setting with 360-dregree views of the Kennedy Center, the Potomac River, the Key and Arlington Bridges, the Washington Monument, and the rest of the DC skyline. 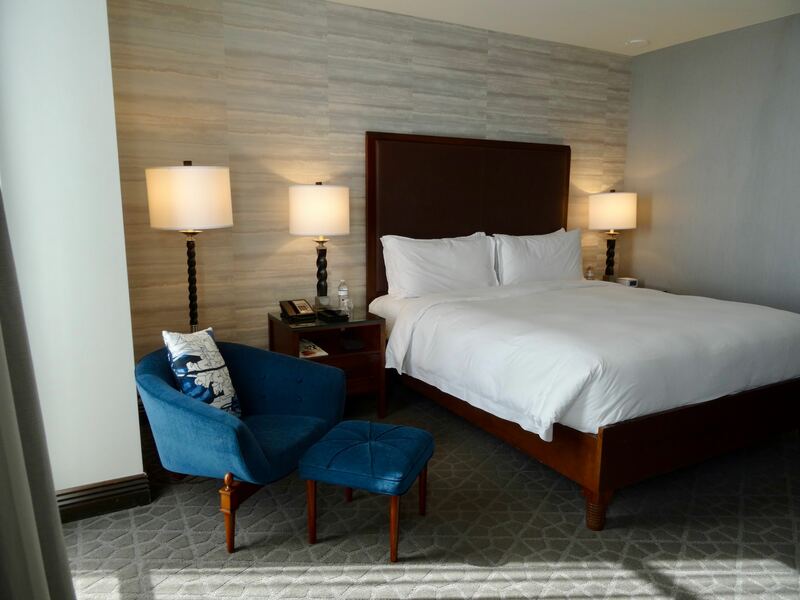 Inspired by native Charlestonians, the recently opened Hotel Bennett is a luxury hotel located at Marion Square and King Street. Offering an array of elegantly appointed guest rooms and suites with locally-inspired artwork and custom furnishings, one of the hotel's finest suites is the Presidential Suite. Featuring a wraparound terrace with expansive views of the Ravenel Bridge, Cooper and Ashley Rivers, and the city skyline, the terrace has an outdoor dining table with chaise lounges. Through the terrace's many French doors, the opulent Presidential Suite has a luxe living room a dining area, private bar, sleeper sofa, and panel TV. The separate master bedroom has a king bed topped with luxury linens, and the large spa-inspired bathroom has a deep-soaking pedestal tub, dual vanities, and a separate glass-enclosed shower. Continue reading about the hotel below the Presidential Suite photo. Occupying two historic buildings which were formerly the Charleston County Library and The Citadel, Hotel Bennett has a two-tiered signature restaurant, rooftop dining and cocktails, a Patisserie, and Camellias Bar with an etched-mirrored ceiling and reclaimed pink marble from the former Charleston Library. The signature spa has five treatment rooms, manicure and pedicure studio, state-of-the-art fitness center, boutique, and a rooftop pool. Learn about an exclusive Five Star Alliance Perk below the photo. FIVE STAR ALLIANCE PERK: Guests booking reservations under the “5 Star Signature Package” rate will also receive full breakfast for two daily in Gabrielle (max $30 per person, max $60 per day), and a $100 hotel credit per room/per stay. 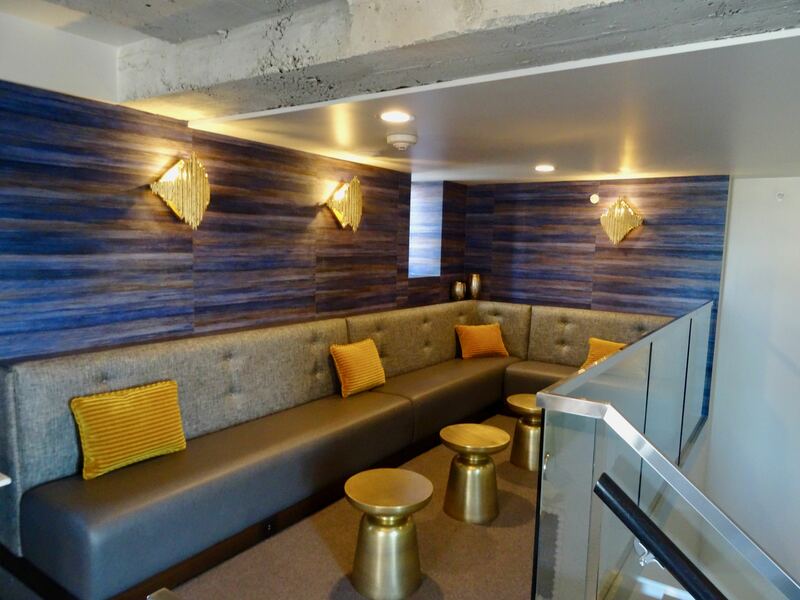 Situated within a historic brick building that was originally the New Orleans Public Service, Inc., the property was transformed into the luxurious NOPSI Hotel in the heart of the Central Business District. The hotel has 76 suites including four rooftop Spa Suites, and 141 guest rooms with modern decor and historic details. 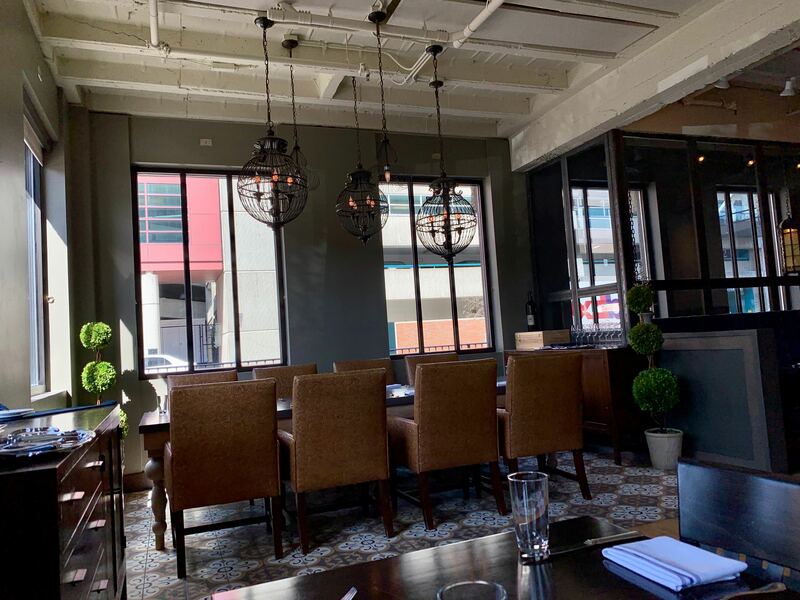 There's locally-influenced dining at the Public Service Restaurant specializing in chef-created cuisine using locally-sourced ingredients. Plus, a rooftop pool and sundeck with panoramic city views. FIVE STAR ALLIANCE PERK: Guests booking the "5 Star Signature Package" rate will also receive breakfast for up to 2 guests daily served in UnderCURRENT for up to $30 per person per day (max 2 people) and a $100 hotel credit per room/per stay. Set on floors three through eight, Seventy Seven Junior Suites at The Mark New York offer 800 square feet of space, as well as views of East 77th Street. 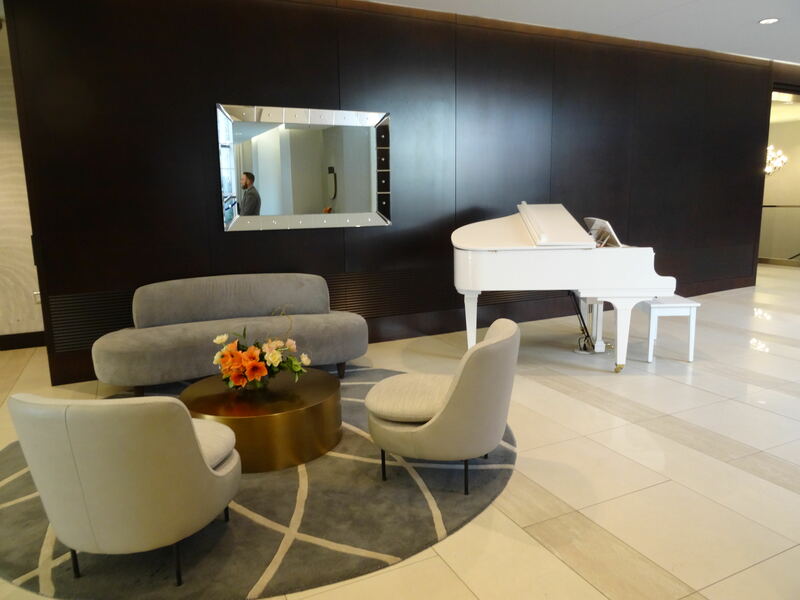 Situated in the heart of one of NYC's most elegant neighborhoods, the suites feature residential-style accommodations with furnishings of ebony, sycamore, and nickel. 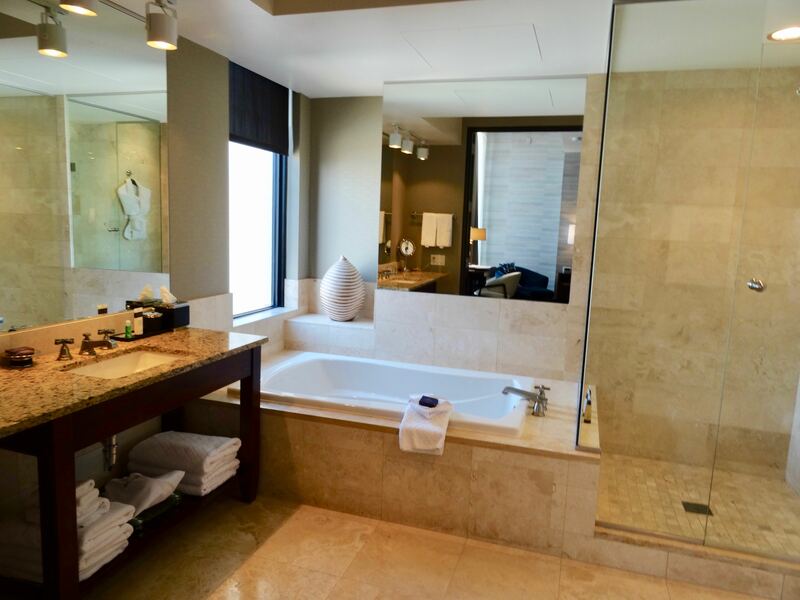 Plus, guests booking this suite through Five Star Alliance receive exclusive Suite Privileges and Perks. Continue reading below the photo. 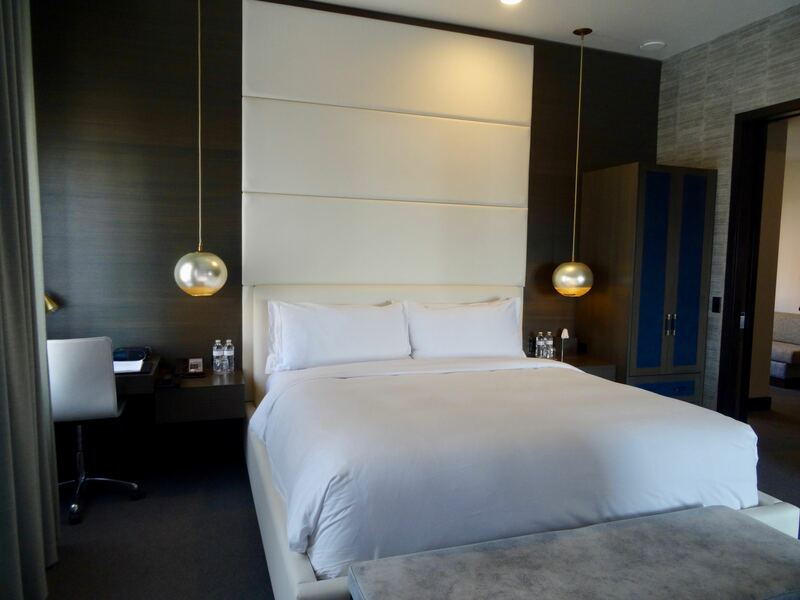 Guest rooms have plush beds topped in fine Italian linens and Quagliotti bedding, as well as state-of-the-art HD TVs and audio systems, as well as Crestron panels to control temperature, entertainment, shades, and lighting with one touch. Read more below the photo. 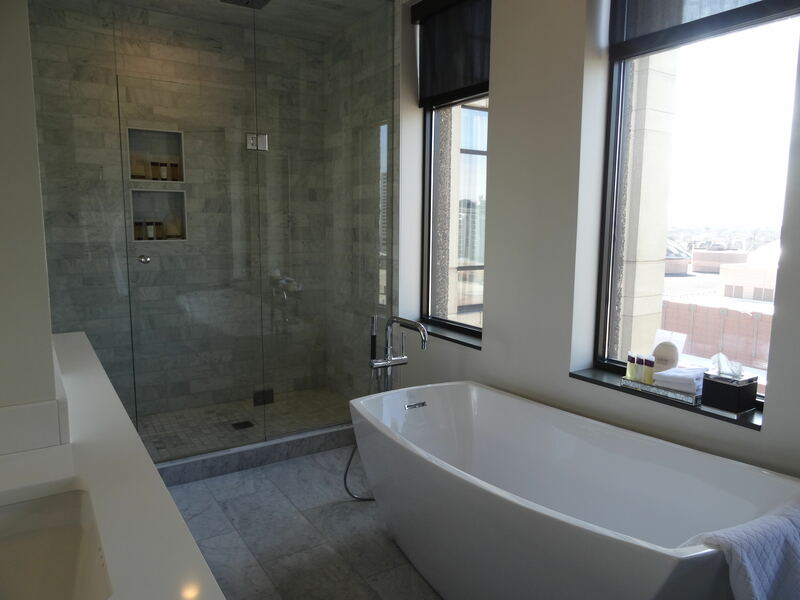 The black-and-white marble bathrooms in each of the Seventy Seven Junior Suites deep soaking tubs, separate glass-enclosed showers, and double wash basins, each with nickel fittings by renowned British maker Lefroy Brooks. 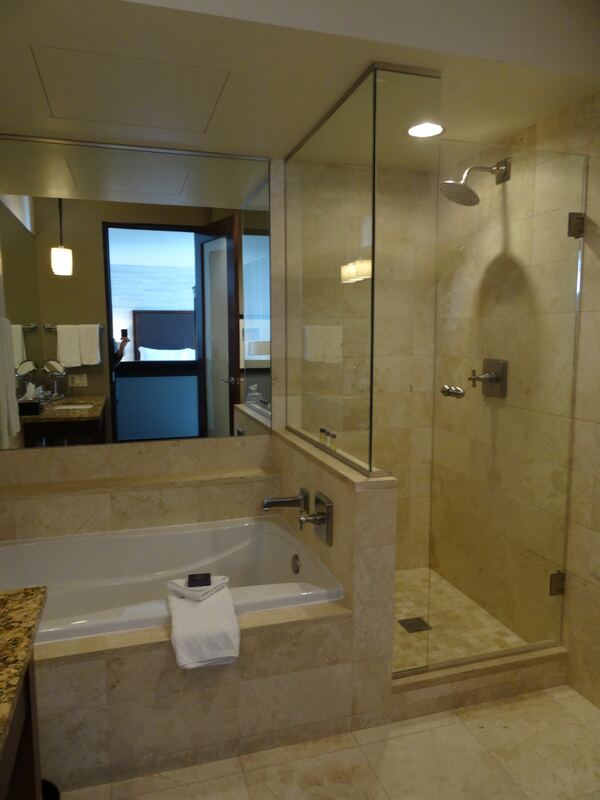 Plus, heated towel racks, mirrored flat-screen TVs, telephones, and exclusive fine Italian toiletries. Learn more about the suite below the photo. 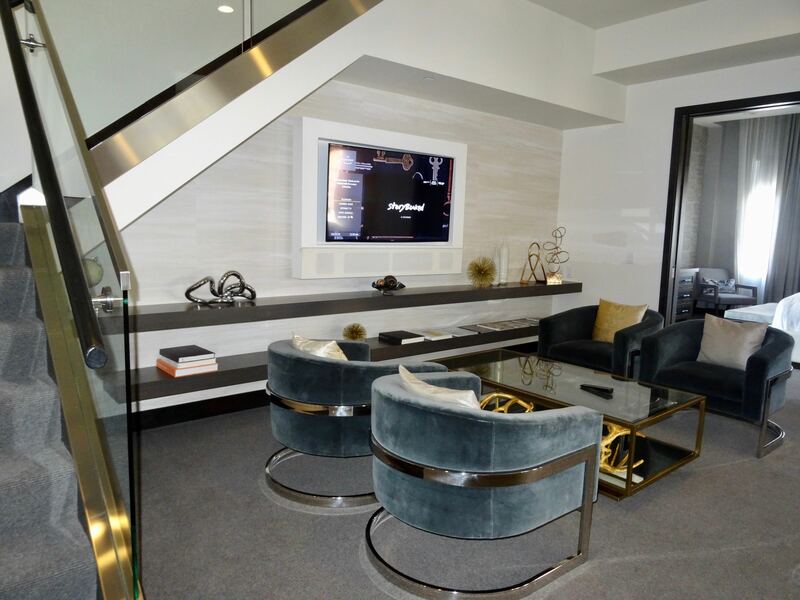 Each suite has a living room with a luxe sitting area and desk, sleek black-granite bar with SubZero drawers, daily shoeshines, WiFi, and morning delivery of the New York Times or Wall Street Journal. Plus, the Seventy Seven Junior Suites can be connected to Seventy Seven King guest rooms to create a two or three bedroom suite. FIVE STAR ALLIANCE SUITE PRIVILEGES: For guests booking a stay of 2 or more nights receive a $100 Food & Beverage Credit per stay. This offer is valid for stays of at least two nights through December 31, 2019 in the Seventy Seven Junior Suite, Courtyard Junior Suite, Park Studio, Manhattan One Bedroom Suite, Garden Suite, Mark Premier One Bedroom, Madison Suite, Mark Two Bedroom Suite, Mark Premier Two Bedroom Suite, and Mark Premier Three Bedroom Suite. In addition, this hotel offers an exclusive FIVE STAR ALLIANCE PERK that can be combined with Suite Privileges (if requirements are met). FIVE STAR ALLIANCE PERK: Guests booking the "5 Star Signature Package" rate will also receive continental breakfast for two daily, a round of cocktails and hors d'oeuvres platter at Mark's Bar or Lounge at Mark's Restaurant by Jean-Georges once per stay OR a "Picnic in the Park by Jean-Georges" which is a picnic basket featuring a selection of delectable foods and refreshments for 2, and an automatic room category upgrade if available at the time of booking OR if not available there will be a $100 food and beverage credit per room per stay.